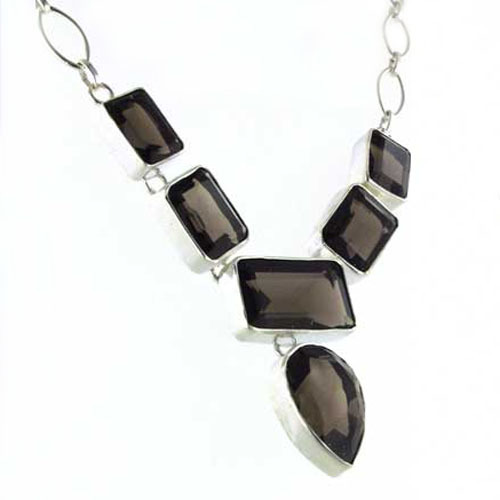 Chunky smokey quartz necklace in sterling silver. 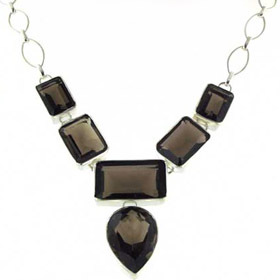 This smoky quartz necklace has 6 large faceted smokey quartz gemstones. This is a stunning piece of jewellery. 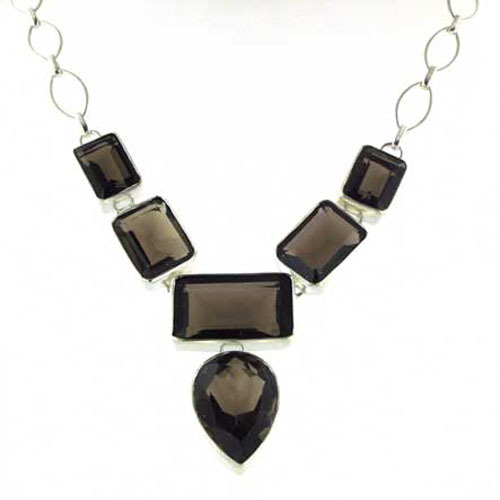 The diamond cut smokey quartz gemstones are richly coloured and sparkle magnificently as the light catches them. 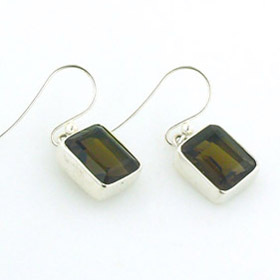 For coordinating earrings see our collection of smokey quartz earrings. The chain used in this necklace is an attractive eliptical link chain and balances the necklace perfectly. 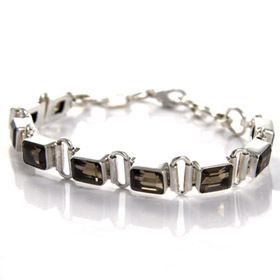 Chose a smokey quartz bracelet to complete the jewellery set!